It’s been a good, fall week. I’m really thrilled that the weather has finally dropped below 70. Boots and jackets season! 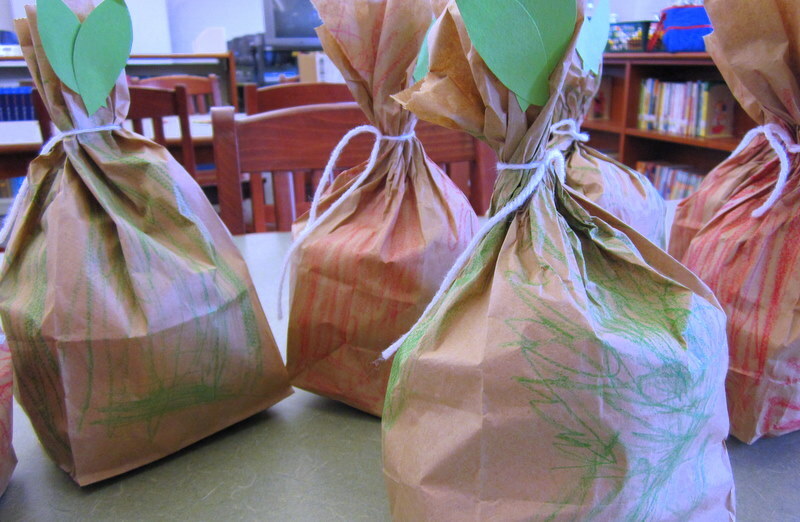 I made these paper bag “apples” with my Multiply Disabled class of kindergartners and 1st graders. We also read Salina Yoon’s Apples, Apples and Leaves, Leaves this week, which the kids liked. I’m having fun with my fall theme in this class, earlier in the season I taught them the “Fall Song” and made leaf cut-out drawings with them like I did with my pre-k kids last year. I started putting out Halloween decorations at home. 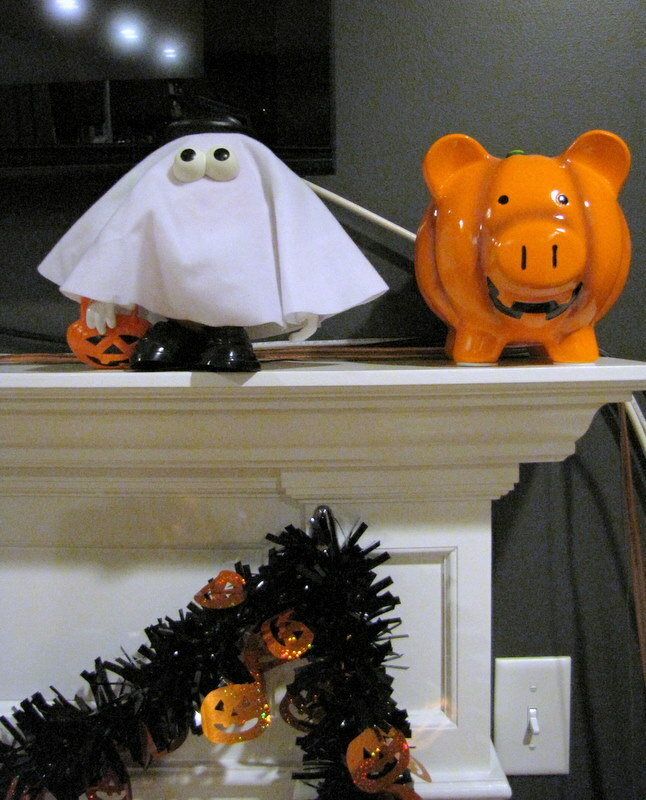 Mr. Ghost Potato Head has been in the Halloween rotation since we bought the house, but Pumpkin Pig and the spooky garland are new (from Target). Those hooks I accidentally permanently hung on the mantel for Christmas stockings our 1st year in the house are so handy year-round. Really! I also bought Ghost Pig, who is actually my favorite. I finally got all of my October displays finished. I’ve decided to do a picture book and a chapter book Spotlight On each month this year. 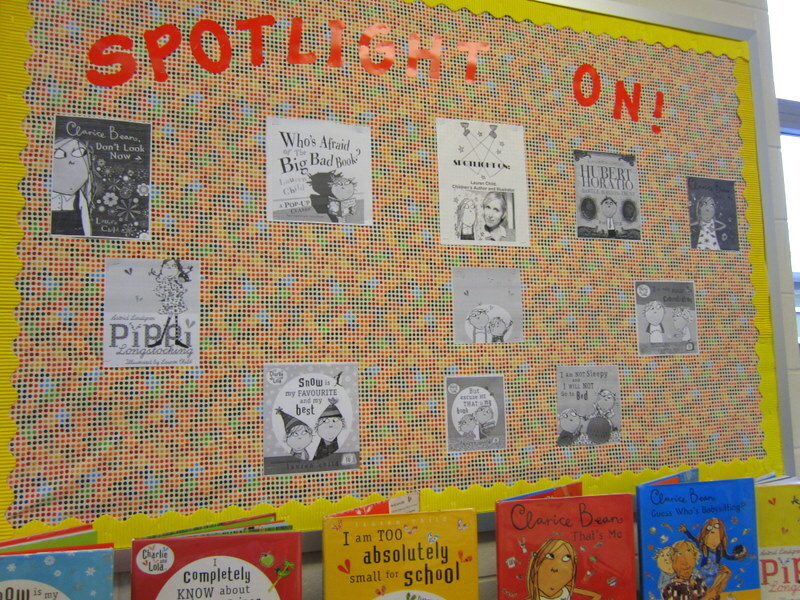 My RL Stine spotlight is already up thanks to awesome 4th graders, and this week I got my Lauren Child spotlight up in the picture book section.